A stewing hen is a retired laying hen anywhere from 18 months to 2.5 years old. This is the closest thing you can find today to your grandmother's chicken. When cooked properly (see How to Cook section below), these birds will yield very flavorful meat that you'll just have to try for yourself. Not to mention their superior nutrient value. We raise our layer hens on the farm from the time they hatch through maturity to ensure we have full control over their diet and lifestyle. 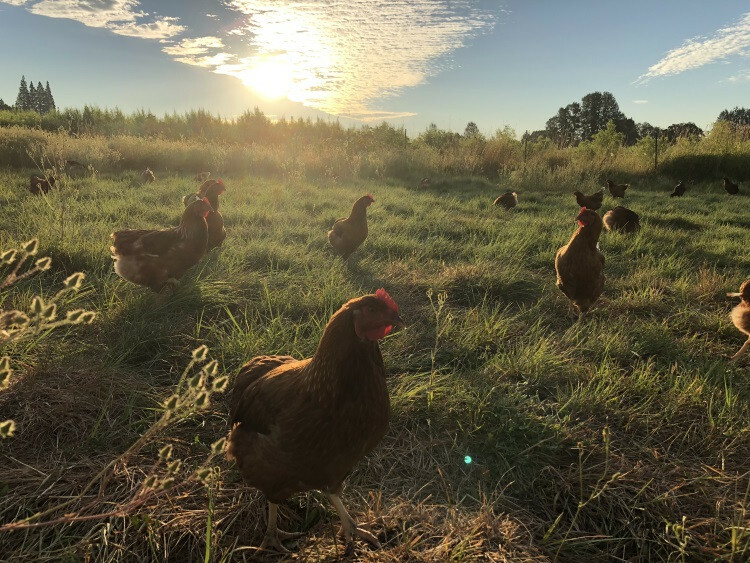 Our hens are raised in a stress-free environment in small social groups and are allowed to roam freely on lush pasture going after fresh grass and protein-rich little critters. We supplement their diet with locally sourced soy-free and corn-free non-GMO feed plus a few healthy treats every once in a while. Stewing hens become available only when a layer flock has served its time and has been processed to make space for a new flock of laying hens. This typically happens once or twice every year. So check back often or better yet, make sure to subscribe to our newsletter so you can get first dibs. 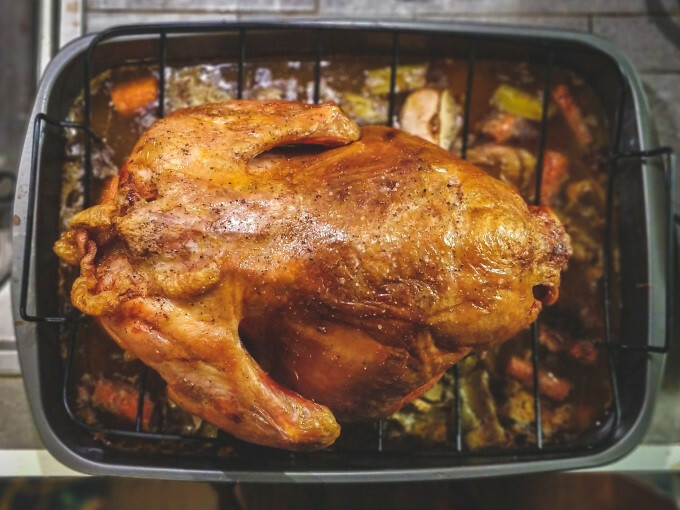 You will want to cook these birds low and slow. The meat will toughen up if you cook them too fast. They need to be cooked on low heat for several hours, just like your grandma taught you (or did she? ), before the meat will become tender and release its rich flavor into the stock. This chicken is ideal for making broth or stew and can provide your family with the perfect meal on a cold winter night. Enjoy!